The fishing conditions have been awesome this month! 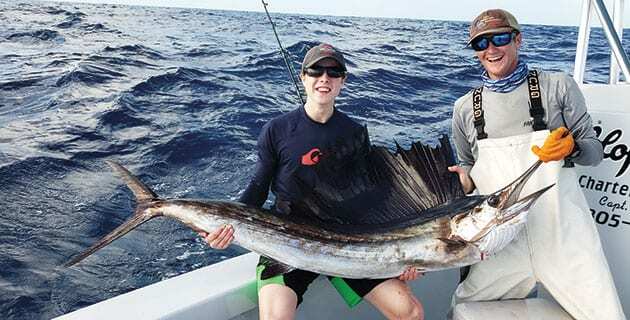 All the key ingredients for good fishing have been lining up on a consistent basis. When you have an abundance of bait, along with a smoking east current and a steady stream of cold fronts moving down, it’s a recipe for awesome fishing. The bite that’s been happening on the edge will prove it. The sails are chewing, with days where we have caught as many as eight fish! 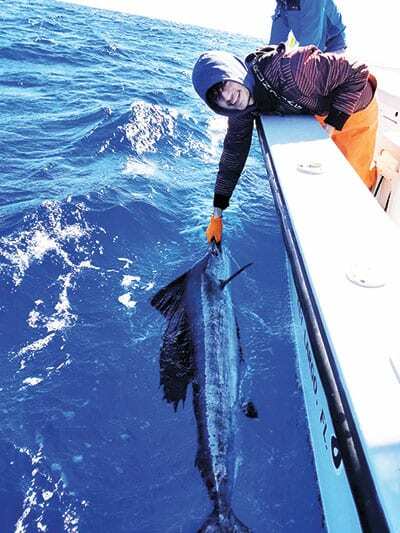 There have been plenty of mahi, Blackfin tuna, king mackerel and wahoo mixed in as well. Kite fishing is definitely the go-to this time of year, by fishing with the kites we’re able to cover more water, fish a variety of baits more effectively and we’ll run as many as nine lines at a time. For bait there’s a wide variety that will get crushed, goggleye, pilchards, thread herring, ballyhoo and cigar minnows to name a few. Most of this action is taking place in the 110-140 ft range. 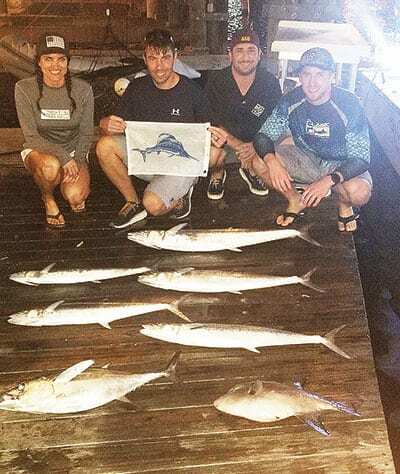 Anchoring down in 55-85 feet of water and chumming will catch more than just the yellowtails attention, there has been plenty of cero mackerel, yellow jack and muttons snapper caught while on the hook. Keep some live ballyhoo or pilchards out on the surface, the chum will pull in all sorts of hungry predators. When the current is light we’ll move out a little deeper to the 110-130 ft range, the larger “flags” definitely hangout in the deeper water. Whether youre fishing in shallow or deep water for the ‘tails, its important you use “slop”. Defrosted chum mixed with oats and sand also know as “slop”, is a staple on charter boats in the keys. Use it as a scatter to supplement the chumslick or ball your bait up inside to use it as a vehicle to get it to the fish. 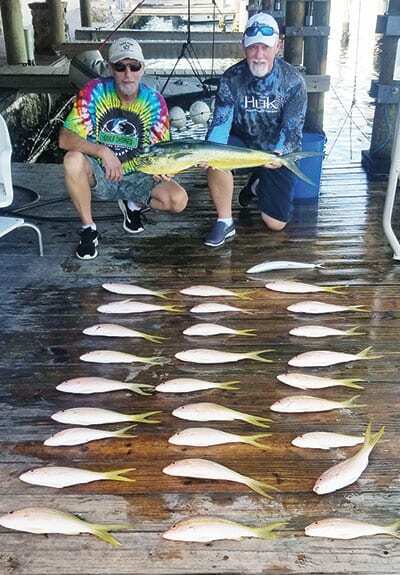 If you’re in the upper keys and needing to get your fishing fix give us a call we’ll get you out on the water and in the action.